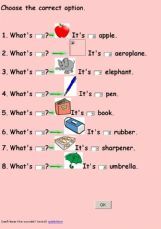 ESL - English Exercises: what´s this/that? demonstratives exercises > what´s this/that? Choose this or that, and a or an.